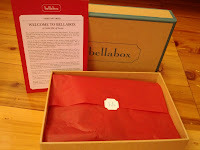 This morning I received my Bellabox and its theme was "A Little Bit Of Love." 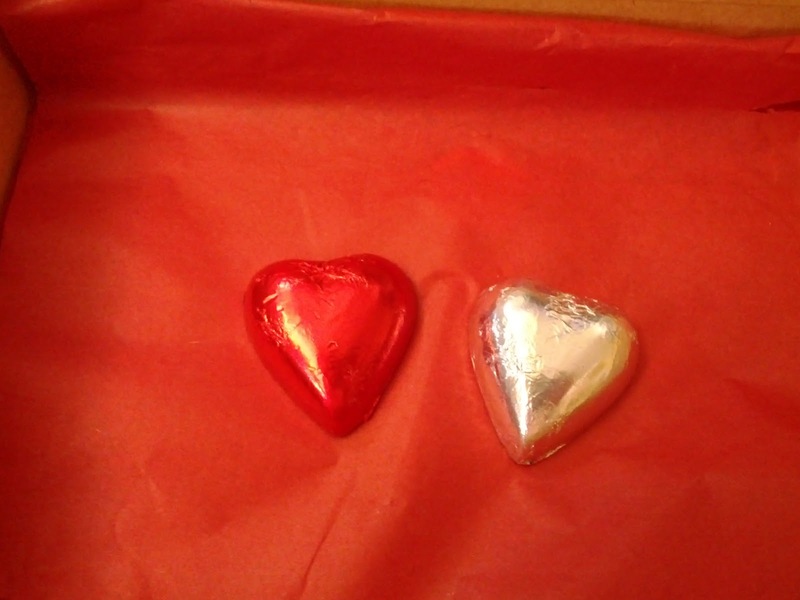 The inner packaging was red for passion/love and it included 2 cute chocolate love hearts. The boxes were either for seduction or for pamper yourself. I really love the packaging of these. Instead of the lid opening up, you "click" it out and it pops out to the side. You can build them up and stack them which is really cool (and easy for storage). My colour was a odd choice considering it is valentines day themed. I would expect a pink or colour to do a smokey eye. Instead I got a blue. It is honestly not a colour I would buy. The matte colour is a bright blue/aqua colour that I could use as a eyeliner and the shimmery colour is like a light denim colour. 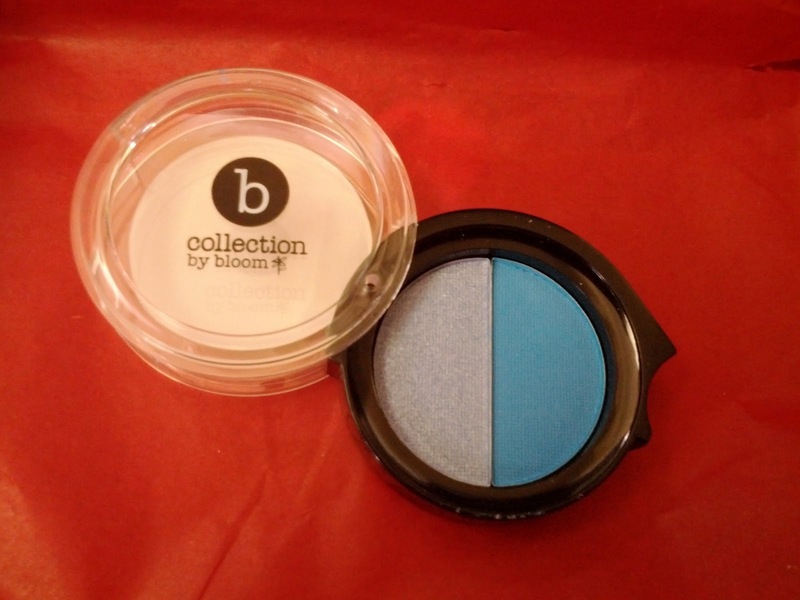 I love bloom products and am excited to try it, but am apprehensive about the colour since it isn't really my style. I do love the name though! This is a really cute travel size. I LOVE the smell. 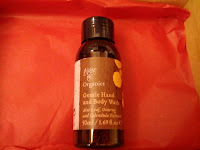 It contains organic ylang ylang, lavender and orange to revive you and aloe vera to hydrate you. This is probably my favourite item in the box, and I'm already planning on buying the full size!!! It smells incredible. If you aren't into natural smells, you probably wont like it. You can feel it hydrating your skin and the scent sticks to your skin. I'm not really a sparkly person, and since I have a daughter I don't really get to go out much at night, so this is something I won't really use. It is a gorgeous cream that sinks into the skin and leaves a gold sparkle on your body. It isn't overpowering or heavy on the shimmer, so it doesn't leave your shining like a disco ball. It has a gorgeous floral scent. 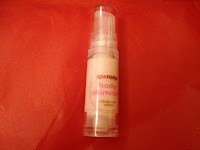 I would have loved this as just a body moisturiser since it is really nice, just shimmer doesn't really fit in my life. 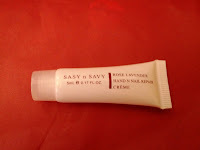 As much as I love this hand cream, it was already in this months Lust Have It. So it's slightly disappointing to be getting the exact same sample in the same month. 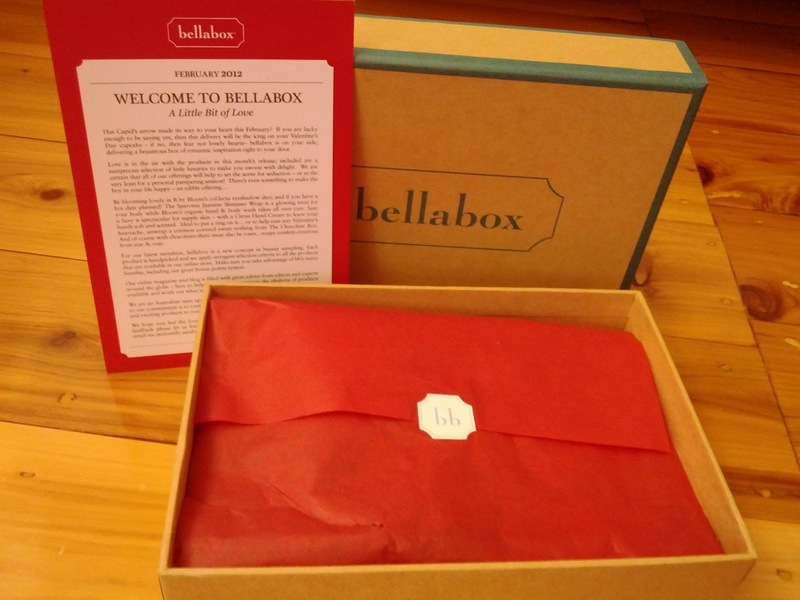 Hopefully boxes and their brands will be a bit more conscious of people that have signed up to multiple boxes. This product is so cute and gorgeous for a "love" theme. 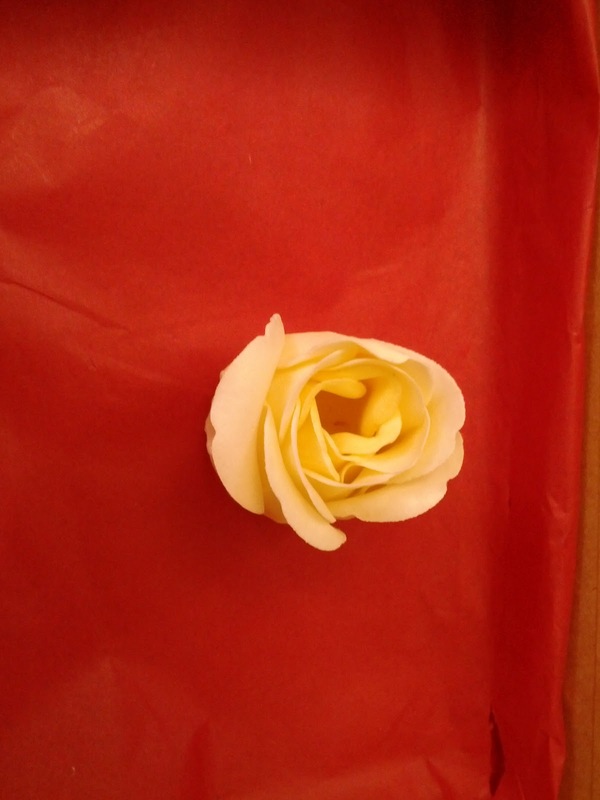 The rose is actually made of soap. It feels a bit like foam when it is dry. They are really easy to use. Just pull off a petal, run under a little bit of water and then rub in your hands or onto your body and it starts to turn into the soap. You can use either 1 or 2 petals per wash, depending on your how soapy your want to get. 2 chocolate hearts from "The Chocolate Box"
I had one red and one silver chocolate. The chocolate is incredible!!! So smooth and yummy. I was impressed that it didn't melt in the box! Overall it was a nice box, but not incredible like previous boxes. My favourites are the body wash and the rose soap. I like getting make up like eye shadows, but really don't know about the colour. A bright blue isn't really for the majority of people. But it is always nice to try something new. Do you think the box matches the theme? Personally I think they did well, but the eye shadow was a bit of an odd match. I would have gone a smokey eye colour or a pink to match the theme. I was hoping that they would have a sample of their new MeMeMe Lip and Cheek tint or their Seventh Heaven Face base in the box! 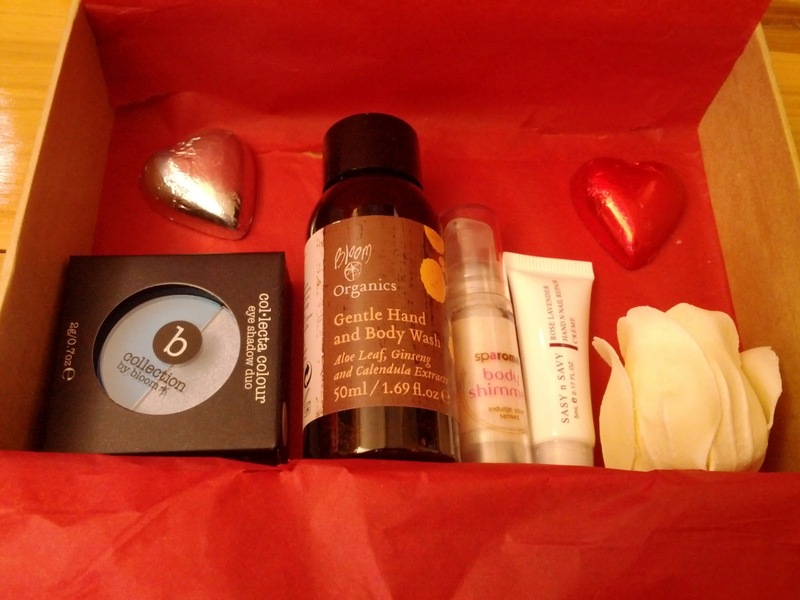 Which looked gorgeous and girly for a love box. Since BB do different boxes, leave a comment below and let me know if you got anything different! I got the same thing except an aqua green eyeshadow. The colour really doesn't suit me but I trialled it yesterday anyway as I wanted to see what the quality of bloom eyeshadow are like. I found it faded quite a bit even with a good primer. The light shimmery shade is not very pigmented but the darker shade is and that faded less. The body wash is gorgeous. I think I may have got the same one, it smells like the bush. I was happy to trial bloom products as I've never tried them before. The soap rose is really different, I like that idea. Is your rose pink? I got pink. Mine should be here today according to the tracking. I hope mine is as good as yours! Oh your box is great! I'm not too happy with mine, which is sad because I've loved my previous boxes. I got the mini hand cream too, but I also got a 30lm sanctum body soothe and a 3ml scientific organics phytocell detox mask. And my eyeshadow is only one colour! Just a dark brown shade. Plus my flower has fallen apart, didn't realise it was meant to look like that. Overall, my least favourite of the Valentine boxes I've received this month. MM-I love the hand cream, but it would have been better to get it a different month. Not 2 weeks after getting it in the LHI box. Black magic my rose was white. The pink ones are sooo cute! SharronR - what did you get in your box? Bec - ohhh no :( Im sure if you tell BB they will give you another rose. Ingrid - I found my box was so light too!